Hi everyone ;). When I first saw the Ecard above, it made me laugh. Sadly, I could relate to it all too well. Can you relate to it too? If you have autoimmune arthritis, you’ll probably be familiar with the experience of waking up only to realize that your joints are filled with stabbing pains and you can barely move :(. When I was younger, I would experience severe morning stiffness in all my joints. There were terrible days when my joints were simply locked and I was trapped and unable to get off the bed. Can you guys relate to this? Nowadays my condition has calmed significantly with treatment, but morning stiffness and pain are still part of life for me. I often wake up feeling groggy and unrested and it takes some time for my body to get going. Over the years I have developed some techniques to help me out in the morning which I want to share today. If you are battling painful mornings, hang in there friends. Please feel free to share your own techniques and coping mechanisms with me as well, so we can all learn together. If you wake up with severe pain in the morning, give yourself some time to relax. When I open my eyes in the morning, it’s difficult/painful to just jump off the bed as my body is often shrouded in pain. Personally, it takes me a half hour to an hour to physically get off the bed. I know that this is common for many autoimmune arthritis patients :(. But don’t fret, we can get through it. Because it takes time for my joints to “thaw” and loosen up, I always set my alarm a little bit earlier than necessary. This way my body has enough time to relax and my joints get some time to loosen up. e.g. If you know you need to get off the bed by 7am, set your alarm for 6.30am so you can lay in your bed and allow your body to loosen up before attempting to move. In my last post I mentioned the value of splinting and supporting joints to reduce the discomfort of stiffness in the morning. My joints (like many RA patients) have a tendency to stiffen during periods of inactivity. Sometimes just speaking on the phone for a half hour causes my wrists, fingers and elbows to “freeze” in that position. Have you ever tried to “unlock” or unstretch a “frozen” joint? Talk about OUCH! 😦 Splints and braces have proven extremely helpful in reducing my stiffness in the morning, as they keep my joints secured in a comfortable position. Heat is often used by arthritis patients to relax stiff joints. This article from ArthritisToday.org gives some pointers on using heat to combat stiffness. I have found that heat helps loosen my joints tremendously. I sometimes use heat packs at night and find that they are actually still warm by morning, which is useful to my joints. 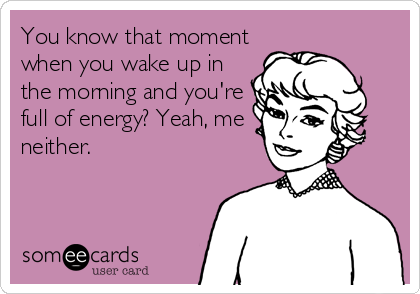 However, if you need more heat, have someone from your family bring you a heated pack as soon as you wake up. If you live in a cold area, consider an electric blanket to help warm you up. If you have work or school, it’s a bit difficult to find time in the morning for a hot bath. I have found that a hot shower works just as well in helping to loosen my stiff joints. I know that you guys are going to groan for this one (do exercise while stiff and in pain?! Yeah right! ), but I’ve found that doing a little stretching while in bed or during the morning period helps my joints to loosen up. Take your time and work on the areas which are problematic. Consult with your physiotherapist for exercises which are appropriate to your specific situation before attempting. You may find these Hand-stretching Exercises from WebMD.com and Bed Exercises from ArthritisSelfManagement.com useful. I have also found that doing regular exercise/swimming helps with my stiffness overall, so don’t forget to get as much movement as you can, whenever you can, however you can. Trust me, I know that is easier said than done ;). Check out Sneaky ways to exercise with Juvenile Arthritis for some ideas. Okay guys. I know that mornings can be extremely tough. Many of us wake up feeling like we’ve been beaten or physically crushed during the night :(. If you’re newly diagnosed, I know that it’s a very scary and frustrating experience. Hang in there. Feel free to share your experiences with morning stiffness or ways which have helped you through the morning pain. Thanks! Categories: Coping, Exercise, Hope, Music, Sleep | Tags: Arthritis, Coping, hope, JA, JIA, JRA, Juvenile Arthritis, Juvenile Idiopatic Arthritis, Juvenile Rheumatoid Arthritis, kids get arthritis too, motivation, sleep, stiffness, strength | Permalink. Today’s topic is one which so many of us will be familiar with: trying to get a good night’s sleep when you are in pain because of your autoimmune arthritis! How many of you have trouble sleeping because of arthritis pain? How many of you have woken up in your sleep because of joint pains? 😦 Not fun, right? Getting a good night’s sleep is especially important for as young women who may have active lives with school, work and family. We all know how extra rough a morning can be when our sleep was interrupted by joint pain, or it took us hours to fall asleep because of the pain. 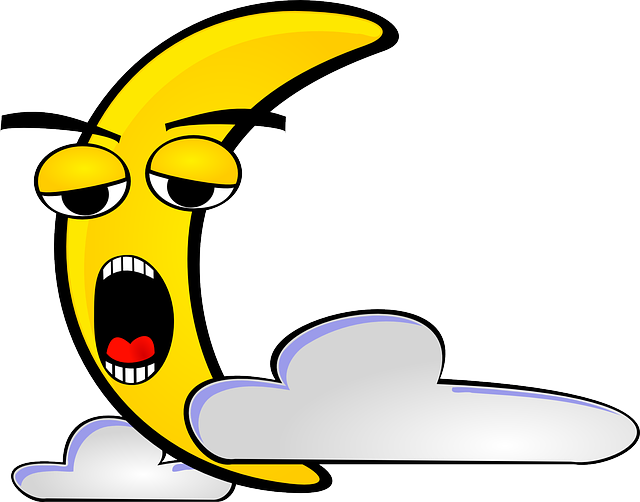 These repeated disturbances in sleep can really add up and put a strain on our already weakened bodies. Not to mention the bags and dark circles under our eyes and constant yawns during the day! Super glamorous, yes? 😉 How do we deal with this ongoing problem of poor sleep? My go-to method for getting my mind off the pain at night has typically been to put on some music and focus on those pleasant tunes. Lately, however, my joints have been acting up and the pain has increased. During the day I’m able to manage (because I’m so distracted), but once I’m in bed, I suddenly realize how achy my joints feel. Simply lying in bed has become very uncomfortable and painful at times. Today I am going to discuss some ways in which we can hopefully help alleviate our pains and get a better night’s sleep. If you are having trouble sleeping due to arthritis pain, I encourage you to discuss this with your rheumatologist and physiotherapist who may be able to provide suggestions based on your specific situation. These ideas come from my personal experiences. Please feel free to share your input as well! Like many persons, I typically sleep curled up on my side, but lately that position has been stressing my hips and causing me a lot of discomfort (which prevents me from falling asleep). Elizabeth of The Girl With Arthritis gave an excellent suggestion in her post “Autumn Arthritis Help”. 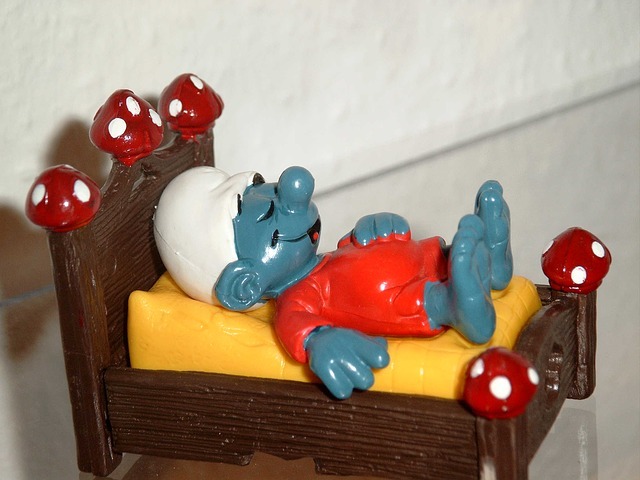 I actually remembered her post one night and decided to take her advice and sleep with my body stretched out, on my back (like the Smurf in the picture ;)). It helped reduce the stress on my hips a lot! It may be unnatural for many persons to sleep like this, but if you’re in too much pain, at least it can help alleviate some of that discomfort. This chart from the Wall Street Journal gives some tips on finding a suitable sleeping position based on your area of discomfort. Speaking to your physiotherapist may be useful if you are unable to find a comfortable position in which to sleep. Braces and splints can be helpful in supporting painful joints, particularly during the night period. Because our bodies aren’t constantly mobile during the night, many of us experience stiff and painful joints by the time morning comes. Ouch! 😦 I have found that splints and supports help reduce the amount of pain I experience in the morning. They also prevent my joints from “freezing” in an awkward position during the night and makes waking up a little less painful. Cushioning our joints with pillows can help relieve strain. Basically, you just place a pillow under your joints which are painful. e.g. Since my knees and hips are so painful these days, I place a pillow under my knees, which helps reduce some of the stress on my hips and supports my knees. If my elbows and wrists are acting crazy, then I also rest my stretched arms on a pillow to give them support. Use the pillows to cushion your joints and reduce the strain on them while lying down. Again, the chart from the Wall Street Journal gives some tips on using pillows to relieve discomfort. Many of us may be familiar with the application of heat and/or cold packs to ease swollen and painful joints. If not, read more about it in this article from WebMD.com. Personally, I find that a hot pack at night helps my painful joints to relax and helps me feel more comfortable overall. Readers, do you use heat and cold on your joints? Do these treatments help reduce pains for you? Lying in your bed in the dark, in pain and all alone gives your mind the opportunity to wander. We all know how quickly the extreme pain of arthritis can make us feel sad and frustrated and eventually have us in tears. Pain and feelings of sadness almost seem to be naturally connected. The average person who breaks his hand usually has a look of pain on his face, and not a smile, right? I think it is natural to feel sad when you’re in pain. But when you live with pain almost 24 hours a day, life cannot be all about sadness and you have to find a way to brighten your mood. 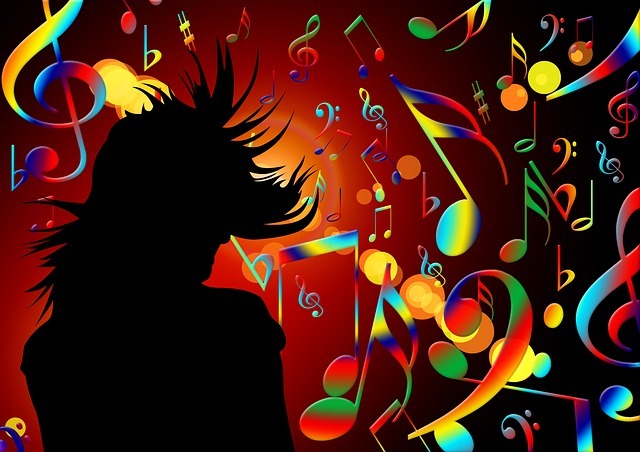 When I’m in bed, I find that music does a good job of helping me to relax and keeping my mood positive and upbeat. So if you find your thoughts darkening, grab your music player and start playing some of your favourite tunes. Distract yourself with a simple video game or do a little night-time reading to tire yourself out. Readers, what tips do you have for falling asleep while dealing with the pain of arthritis? Have you used any of the methods mentioned in this post? Do you find them effective? Feel free to share your suggestions in the comments below so that we can all learn together…and hopefully all sleep better ;). Thanks! Categories: Coping, Sleep | Tags: Arthritis, hope, insomnia, JA, JIA, JRA, Juvenile Arthritis, Juvenile Idiopatic Arthritis, Juvenile Rheumatoid Arthritis, Music, pain, pain management, pain relief, sleep | Permalink.